For those not in the know, the Seattle region experienced a bit of snow earlier this week. This led to a lot of children happy for school closings and a number of icy roads. In fact, word is that it will snow again very soon. All of this snow had me feeling like I was on a planet covered in ice and snow and there’s snow planet like the ice planet Hoth! As a sort of tribute to ice and snow planets throughout science-fiction, I’ve decided to stat up some creatures from one of my favorite ice planets ever. Let’s set out to find the tauntaun and the wampa! Snow Climb (Ex) A tauntaun is treated as having a 20-foot climb speed when traversing snow or ice. It is not flat-footed when climbing in these environments. Snowstride (Ex) A tauntaun is not hampered by difficult terrain due to snow or ice. Tauntauns are a species of reptomammals, creatures with both reptilian and mammalian traits, that live on the icy planet of Hoth. Tauntauns have scaly skin and are covered in fur, allowing them to survive in the planet’s harsh environments. They also have thick blubber beneath their skin and wide feet to aid them with running across icy surfaces. However, even these adaptations aren’t enough to allow a tauntaun to survive the extreme nighttime temperatures of Hoth. Tauntauns are herd creatures, living in groups of twenty to thirty. Their natural ability to traverse the icy wastes of the planet made tauntauns invaluable as mounts. Tauntauns use their great speed to avoid their natural predators, the deadly wampas. Snowstride (Ex) A wampa is not hampered by difficult terrain due to snow or ice. Wampas are another species of reptomammals native to the planet Hoth. 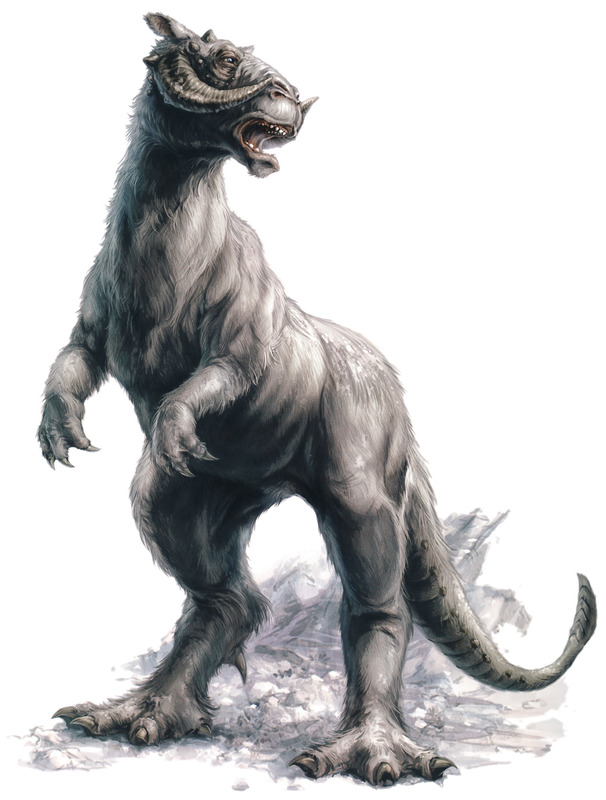 They are carnivores that feed on tauntauns as their primary prey and use ambush tactics to catch tauntauns off-guard. A wampa’s acute sense of smell allows it to track its prey, even during the windy blizzards common to the surface of Hoth. They sport deadly claws and can stand up to 3 meters on average. While wampas are capable of bipedal movement, they prefer to move on all fours when not attacking prey. 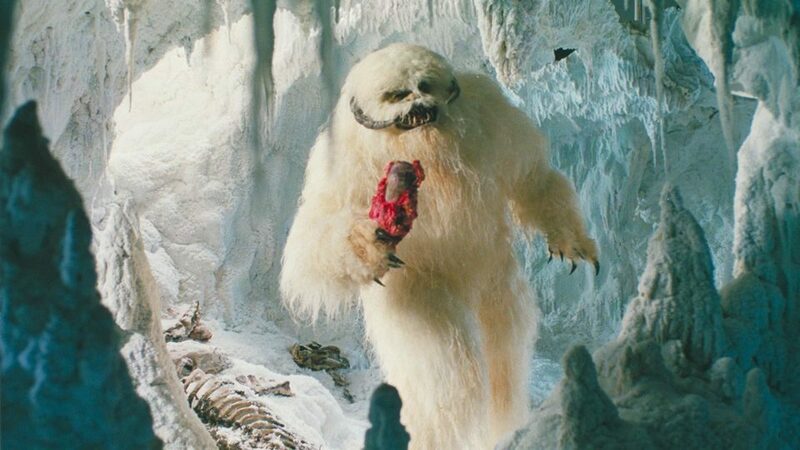 A wampa will usually make its home in one of Hoth’s various ice caves, taking its kill back to its home to eat at its leisure. That’s it for this week! If you end up introducing these creatures into your game or you have any request for a future Monstrous Physique, please drop me a line at KnowDirection@hotmail.com.